As Director of Digital Creative Experience at SLD, Marcos oversees the integration of digital creative solutions that converge technology, innovation, brand, and design experiences. His focus is helping brands innovate through multichannel solutions that meet business objectives and deliver results along the digital path to purchase. Marcos has successfully delivered content strategy, creative direction and design across a full range of traditional and digital experiences including digital signage, mobile, web, interactive kiosks, broadcast, rich media, branding, traditional and digital advertising and experimental media. His digital creative vision continues to enrich our projects, from digital and retail to corporate and even packaging, bringing them to life and producing engaging digital experiences. Marcos has a long history in the digital and creative agency world. He was partner and chief creative officer for a digital boutique agency and has been through several of Toronto’s staple agencies. 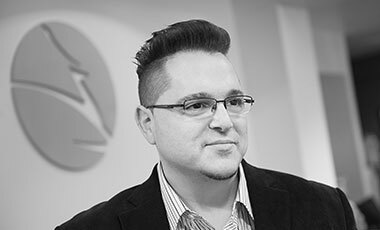 Marcos joined SLD from St. Joseph Communications where he specialized in digital, integrated, and multichannel shopper marketing experiences and content solutions. A snapshot of the brands Marcos has delivered creative and digital experience solutions for include TD Bank Group, Thomson Reuters, Toronto Blue Jays, Adidas, Nike, Bell, Rogers, Samsung, Apple, Sony, Canon, Sears, Walmart, Holt Renfrew, GM, BMW, Volvo, Acura, Metro, Loblaws, Kraft, Burger King, and many more.